Sometimes when first time customers order with me I like to give them a little thank you. It could be anything Stampin’ Up! 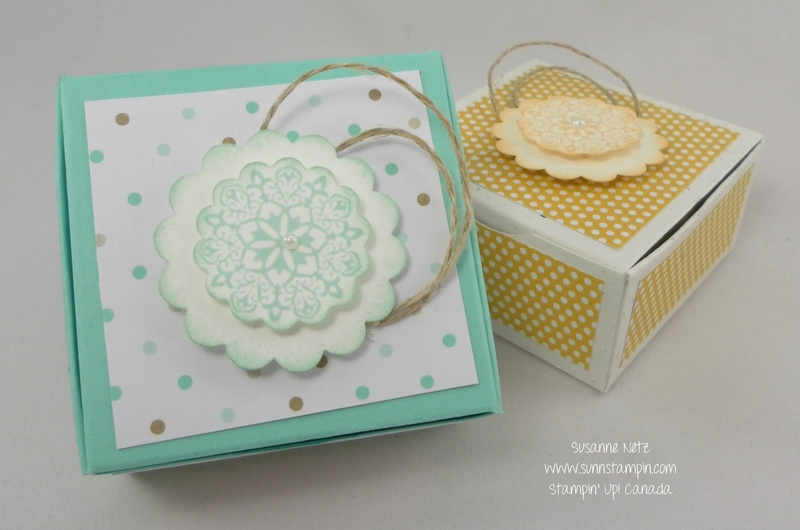 related and these super cute boxes are just the ticket for stamp spots. I get them with my paper pumpkin subscription and if it’s a color that I already have I give it away (I can’t bear to see those little colorful ink squares dry up and die). So ya, I share the love! This entry was posted in Fabricate Friday on August 8, 2014 by Susanne. Thanks. I think it is the smallest I have made yet.